Should this be what to expect in the later activities to culminating in the final awards itself, then the 20th edition of the Vodafone Ghana Music Awards will surely go down as one of the awards schemes on the continent. Notwithstanding the glaring shortcomings, which included over an hour of a pause in events amid crowd trouble and intolerant crowd control by security personnel, the Nominees Jam was the eye-opener that everyone in the music industry needed. In case you had a very pending engagement so you missed the live feed on TV and also the live updates via ghanamusic.com, this post should very well shore up what you missed from Kumasi. Probably the very first edition of the Nominees’ Jam to feature both Shatta Wale and Stonebwoy, this year’s served us some sumptuous performances that will remain with everyone who witnessed it. From start to finish was a barrage of good performances after the other. The artists in the Unsung category gave it their all when it got to their turn to prove why they should be performing on the 18th of May, 2019. Some of the artists made use of the Afro Harmony Band with O.V, Efe Keyz and Kula from the Unsung category making use of the band when they each took their turns. Lil Win and Wendy Shay; these two gave out a nonstop performance filled with crafty stage crafts and spontaneous dance choreographies. Wendy Shay gave out her best performance yet since she broke out with ‘Uber Driver’, working the crowd into frenzied moments which not only made the audience happy but got her manager Bullet nodding also to. Minutes into his performance, Lil Win had already taken off 2 shirts and he still had more he was wearing. The ‘Anointing’ singer was in his showmanship elements; he couldn’t be stopped. He moved from every corner of the stage to charge up the audience. From, left to right, down to the center, Lil Win took his moment and made it memorable. When Flowking Stone started his performance, it seemed like it was going to be a dull fest. He slowly moved a crowd who had been sucked dry of energy by a Shatta Wale performance. Slowly, slowly he got them to move in tandem with him and when they all met at one point, on walked on stage Kunta Kinte, the other half of Bradez. The brothers did their award-winning 2009 song ‘Simple’ to cheers from everyone. From then on, it was a Flowking Stone – Kunta Kinte karaoke night for the crowd. The sang out word-for-word every song that blurted out of the speakers to the glee of Flowking Stone. Simply giving out the performance of the night to a particular artist will be impossible to do because these two acts all deserve that accolade. The crowd had been screaming out the names of this iconic duo for the best part of the night, they had waited and waited to see their icons. When they finally came onto the stage, the crowd roared. Shatta Wale dressed in in white gave it all to them. He gave it all out. Hits after hits, Shatta Wale served the audience what they came out to witness whiles intermittently pleading to them to be cautious in their reactions. He teased them throughout his set. When it got to ‘My Level’ the energy went a bar up! Not missing a word, the crowd sang their hearts out to the song nominated Highlife Song of the Year and they were loving it. 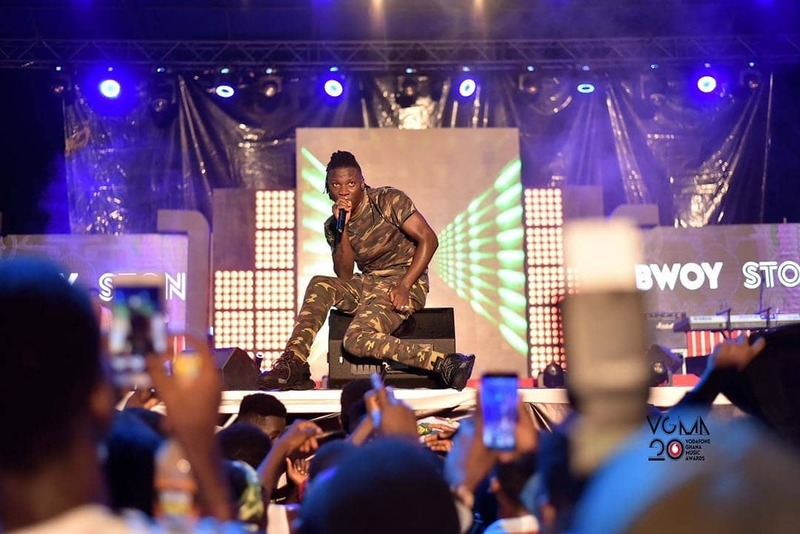 Stonebwoy, dressed in a military-style outfit with a ‘1 GAD’ inscribed bulletproof vest marching amid stage thumps and energy took this moment to turn the event into a jamboree. Starting off with ‘Hero’ and ending with ‘Kpoo Keke’, Stonebwoy took everyone at the Kumasi Mall to a different dimension with his performance. Who would easily forget his joy when Stonebwoy fist bumped a fan who was singing every lyric of his songs? When everyone least expected it, Stonebwoy was counting 0-20 to signify the number of times Charterhouse has organized the Vodafone Ghana Music Awards scheme. This countdown turned into a countdown to kick off the fireworks as the 20th edition of the Ghana music awards fully launches! 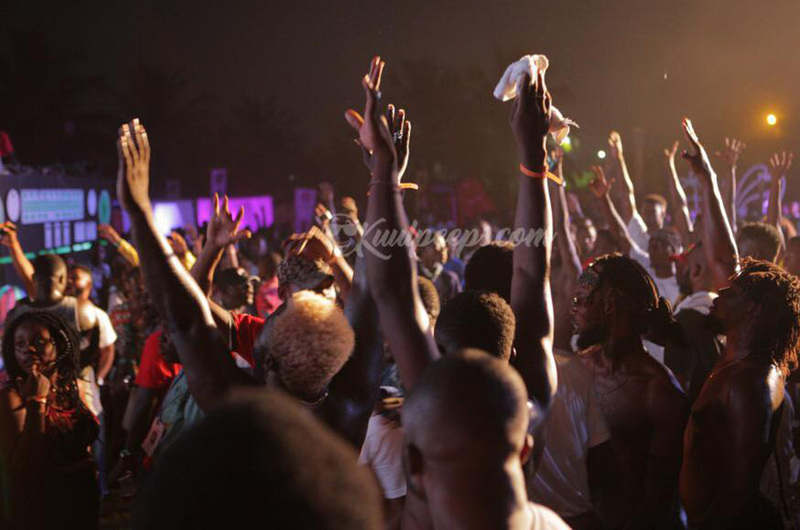 Famed for being the most difficult crowd to move, the audience who attended the VGMA nominees jam availed themselves to be spoilt with music. From the home breed new talents through to the Unsung artists’ performances and the main artistes time, the crowd had a field day cheering and singing along to every song that was played and performed. The sheer volume of people who attended the 2019 Nominees’ Jam made it difficult for crowd control. Such lapses were the cause of the hold up of events before the scheduled start of Obaapa Christy’s performance. The lengthy delay in restoring calm to the audience dragged time which led to the inability of the gospel song of year nominee to finish her performance. The recurring bane of Ghanaian events is the venue and the event production. Should there be any glitches to any of these two important things, and you could easily make or mar an event. So, when the event started and the audience was comfortable with the venue, you could sense that this Nominees Jam was going to be special. The Kumasi Mall easily accommodated possibly everyone (the biggest event crowd) ever who wanted to jam the night away making room for easy movement also. You could dance, jump, scream and still feel relaxed about. After all, this had to be a jam; and a jam it was. With the awesome set production and performance coordination, the nominees’ jam was going seamlessly without any unnecessary breaks until the well reported crowd trouble. This situation led to the shutdown of some of the equipment used, which resulted in the over 1-hour break in performances. 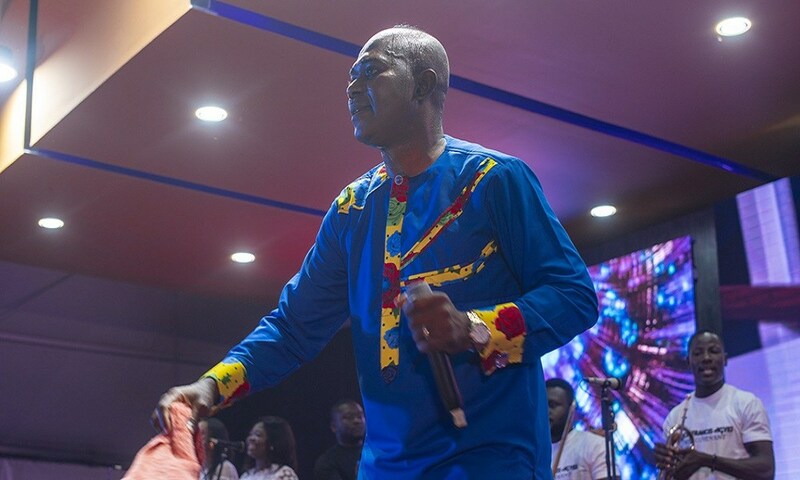 It was non-stop Ghanaian music celebratory festival!